With over 500 Million members and now part of Microsoft, LinkedIn has become a huge force to reckon with. One of the most underused or perhaps underestimated power of your LinkedIn account is the ability to build relationships using your already existing contacts and build interest in your business. Getting leads from LinkedIn may seem like a long winded approach at first but with some determination, you can filter out high quality leads from your LinkedIn account in a few minutes. On LinkedIn, when someone searches for your product or a company that sells it, they usually scan through the search results very quickly. The information you have in your Profile Summary determines if your profile is clicked on. Over the years you might have connected with hundreds of people on LinkedIn. These contacts could be added to your email marketing database and receive your company newsletter or prospective emails. LinkedIn provides a way of exporting all your contacts into spreadsheet which includes their full name, job title, company, email address and in some cases phone numbers. This is how to export your connections from Linkedin. Create a list of your ideal customers, by company type, industry and even employee count and use LinkedIn’s powerful search feature to start connecting with them. This might seem like a long process but people hate being sold to. Relationships have to be built first of all before any real or meaningful discussion can take place. Over a period of months, listen and comment on posts, rants and join discussions that your prospects are having on LinkedIn and encourage your sales people to do so too. Now, you might read this and think, “This is too much work!” but in reality it only takes a few minutes a week to do this. If you sell products to healthcare professionals, create a group for healthcare professionals and make it look and sound prestigious so that people actually want to join. in order for the group to work you will invite your potential clients from the list you generated before and then leverage the group to get more connections and leads. The group can be used as a discussion point, ways to share office hacks or relevant pieces of content. Spend a few minutes in the morning or at lunch posting a simple update – maybe a relevant link or case study from your website, even your experience with a happy client or how you dealt with a customer complaint. LinkedIn users scroll through their feeds looking for inspiration and yours could catch their attention. You can also promote your posts using the LinkedIn sponsored content advertising option. 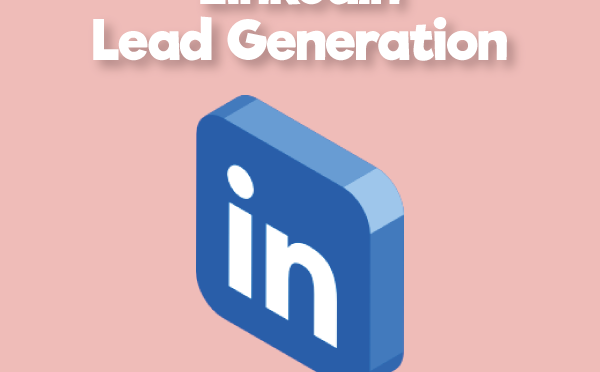 Your free LinkedIn account is a great resource for lead generation. With a few simple steps like optimizing your profile, exporting your existing list of contacts, creating a group and posting daily updates you can leverage this great platform to win more business and keep your boss happy.